The team "Chimie Théorique, Méthodologies, Modélisation" belongs to the « Chemical Physics » Department of the ICGM. All members of CTMM are theoreticians or computational chemists using quantum approaches in their research. The aim of CTMM is to develop methods and concepts to analyze the physico-chemical properties and the chemical transformations occuring in molecular chemical systems and materials. The topics covered span a large spectrum from small molecular quantum dynamics, to the structure and reactivity of transition metal complexes, and to the electronic properties of organic and inorganic solids. All the theoretical studies are carried out in synergy with experimental groups. The research activities in CTMM are articulated around two axes : « Methodological Developments » and « Applications ». The first research theme is concerned by formal, conceptual, algorithmic or computational developments of quantum methods and methodologies able to treat complex systems (molecules, solids, interfaces) and their environment . The second research theme deals with high societal impact application in various domains such as « Physico-chemistry of the environment », « Homogeneous and heterogeneous catalysis » and « Materials for Energy ». This synergy between Developments and Applications is the cornerstone of the research activities carried out in the team and transcends the particularities of each problems adressed in order to reach a better understanding of chemical reactivity. The CTMM team originates from the integration in January 2007 in the Institut Charles Gerhardt of the former UMR 5636 (Laboratoire de Structure et Dynamique des Systèmes Moléculaires et Solides, LSDSMS) created in 1995. The LSDSMS laboratory was created around a nucleus of people coming from the Theoretical Chemistry Laboratory in Orsay with the aim to develop theoretical chemistry in Montpellier. In the last years, the CTMM team has seen its composition changed with the departure of 3 senior members (Odile Eisenstein, Claude Leforestier and Gérard Parlant) and the hiring of two young staff members (Thibaud Etienne (lecturer) and Matthieu Saubanère (research-associate)). These changes have resulted in a reorganisation of the research activities in the team around a common methodological goal. This emerging theme relies on the expertises in electronic structure and vibrational structure calculations available in the laboratory. It aims at reaching a better description of the physico-chemical properties in various applications related to energy conversion, transfer and storage. 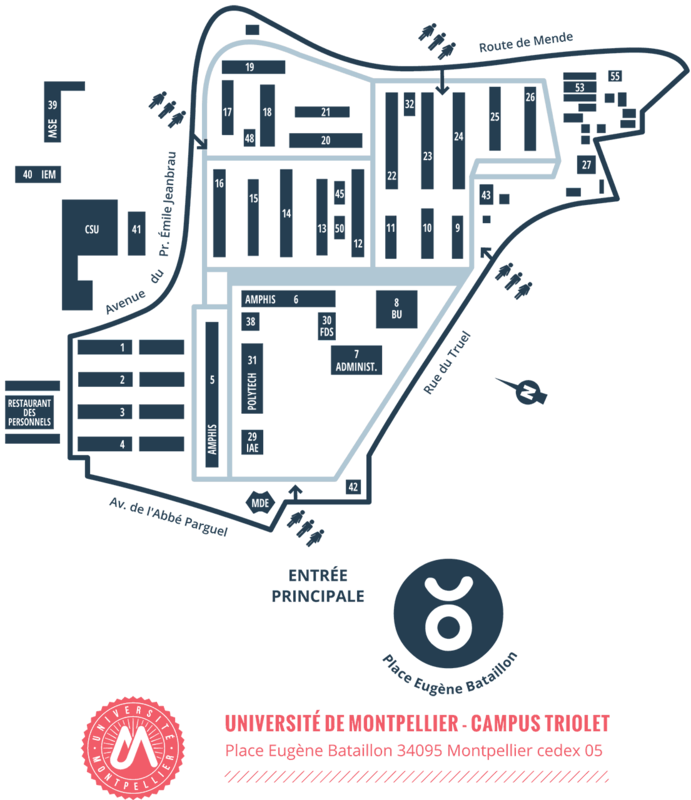 The "Chimie Théorique, Méthodologies, Modélisation" Team is located in the University of Montpellier, Faculty of Sciences ( building 15 , RdC).